This conference provide a platform for researchers, engineers, academicians as well as industrial professionals from all over the world to present their research results and development activities on Biometric Engineering and Applications. Patrick Bours recieved his MSc and PhD degree in the area of Discrete Mathematics from the Eindhoven University of Technology in the Netherlands, in 1990 and 1994. From 1995 until June 2005 he worked as a senior policy member in the area of cryptology for the Netherlands National Communication Security Agency (NLNCSA). From July 2005 he worked at the Gjøvik University College in Gjøvik, Norway. First as a Postdoc (2005-2008), then as an associate professor (2008-2012) and since 2012 he holds a professor position. Gjøvik University College merged with NTNU in 2016. Since 2005 he is working in the area of biometrics, and in particular behavioural biometrics. He has over 100 publications in the area of gait recognition, keystroke and mouse dynamics, as well as ear, fingerprint, face and retina recognition. His current research interest is in the area of keystroke dynamics, in particular continuous authentication and application of keystroke dynamics. Patrick Bours is reviewer for various conferences and journals in the area of biometrics and he is an associate editor for Wiley's journal on Security and Privacy (SPY). Speech Title: "Using Behavioural Biometrics Beyond Gaining Access"
Abstract: Biometrics is traditionally used to gain access to a system. Fingerprint and face are used to gain access to our phones, iris scans are used at boarder control to gain access to a restricted area and finger vein biometrics is applied to withdraw money from ATM machines. Behavioural biometrics in particular can be used far beyond such applications, mainly because we can measure the behaviour of a person unobtrusively over longer periods of time. In particular will I show how behavioural biometrics can be used to add an additional layer of security to your computer or mobile device and how we can use it to provide safety online for vulnerable members of society. Guoying Zhao received the Ph.D. degree in computer science from the Chinese Academy of Sciences, Beijing, China, in 2005. She is currently a Professor with the Center for Machine Vision and Signal Analysis, University of Oulu, Finland, where she worked as a senior researcher since 2005 and an Associate Professor since 2014. She has authored or co-authored more than 190 papers in journals and conferences. Her papers have currently over 9300 citations in Google Scholar (h-index 43). She was co-publicity chair for FG2018, has served as area chairs for several conferences and is associate editor for Pattern Recognition, IEEE Transactions on Circuits and Systems for Video Technology, and Image and Vision Computing Journals. She has lectured tutorials at ICPR 2006, ICCV 2009, SCIA 2013 and FG 2018, authored/edited three books and eight special issues in journals. 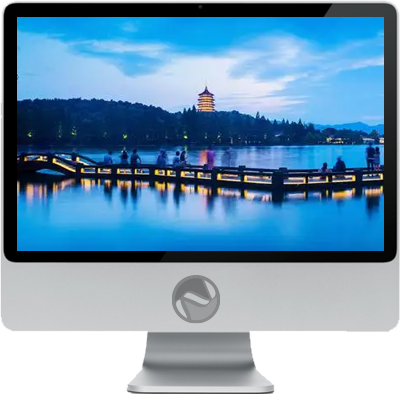 Dr. Zhao was a Co-Chair of many International Workshops at ECCV, ICCV, CVPR, ACCV and BMVC. Her current research interests include image and video descriptors, facial-expression and micro-expression recognition, gait analysis, dynamic-texture recognition, human motion analysis, and person identification. Her research has been reported by Finnish TV programs, newspapers and MIT Technology Review. Julian Fierrez received the MSc and the PhD degrees in telecommunications engineering from Universidad Politecnica de Madrid, Spain, in 2001 and 2006, respectively. Since 2002 he was affiliated as a PhD candidate with the Universidad Politecnica de Madrid, and since 2004 he is at Universidad Autonoma de Madrid, where he is currently an Associate Professor since 2010. From 2007 to 2009 he was a visiting researcher at Michigan State University in USA under a Marie Curie fellowship. His research interests include general signal and image processing, pattern recognition, and biometrics. Since 2016 he is Associate Editor for Elsevier's Information Fusion, IEEE Trans. on Information Forensics and Security, and IEEE Trans. on Image Processing. Prof. Fierrez has been actively involved in multiple EU projects focused on biometrics (e.g. 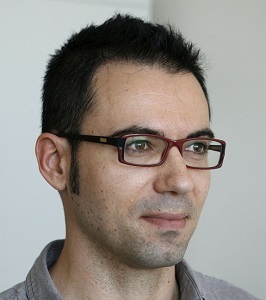 TABULA RASA and BEAT), has attracted notable impact for his research, and is the recipient of a number of distinctions, including: EBF European Biometric Industry Award 2006, EURASIP Best PhD Award 2012, Medal in the Young Researcher Awards 2015 by the Spanish Royal Academy of Engineering, and the Miguel Catalan Award to the Best Researcher under 40 in the Community of Madrid in the general area of Science and Technology. In 2017 he has been also awarded the IAPR Young Biometrics Investigator Award, given to a single researcher worldwide every two years under the age of 40, whose research work has had a major impact in biometrics. Feng Xiaoyi is currently a professor and doctoral supervisor at the School of Electronic Information, Northwest Polytechnic University. She is deputy director of the Key Laboratory of Aerospace Electronic Information Perception and Optical Control, Ministry of Education. She is also member of the council of the Chinese Society of Image Graphics, and Vice President of Shaanxi Society of Image Graphics. Her research interests include computer vision, image processing and pattern recognition. Her recent research focuses on human-centered computing, including face expression recognition, false face attack recognition, face-based parent-child relationship estimation and so on. Speech Title: "Face Spoofing Detection based on Deep Learning"
Abstract: As one of the most natural clues for identifying individuals, face images have been used as the preferred biometric trait in many identity recognition systems. However, face spoofing becomes a clear threat for these recognition systems. In this talk, I will explore the ideas on how to use deep learning based models to detect face spoofing in 2D fake face images, videos and 3D face masks by our research group. Several specific-designed deep models will be introduced and compared to existing handcrafted features in the experimental evaluation. March 25, 2019, News! With the request of many authors, the submission deadline of ICBEA 2019 is extended to April 5, 2019. January 05, 2019, News! The accepted papers may be published in ACM Conference Proceedings (ISBN: 978-1-4503-6305-1). December 05, 2018, News! Conference Brochure for ICBEA 2019 can be downloaded now. November 10, 2018, News! Prof. Patrick Bours from Norwegian University of Science and Technology, Norway will deliver a Keynote Speech in ICBEA 2019.